December is one of my favourite months of the year. It is my birthday month, it's festive and everyone is happy. However, sometimes I find it difficult to stay energised and keep positive. Feeling lethargic, lacking concentration and not wanting to move from under a blanket may be familiar to many of us. Here are a few maybe obvious but helpful ways I beat the winter blues. So we aren't always as thirsty as we may be in the summer but we still need to ensure we are kept hydrated. I drink water everyday and rarely reach for high sugar drinks. I was kindly sent an awesome package from Battery Energy Drink containing some amazing flavoured waters and carbonated drinks. 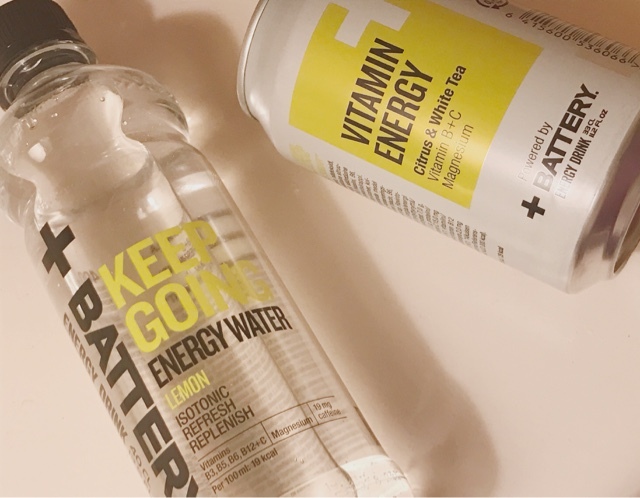 My absolute favourites are the Keep Going Lemon Emergy Water and Vitamin Energy Citrus & White Tea. 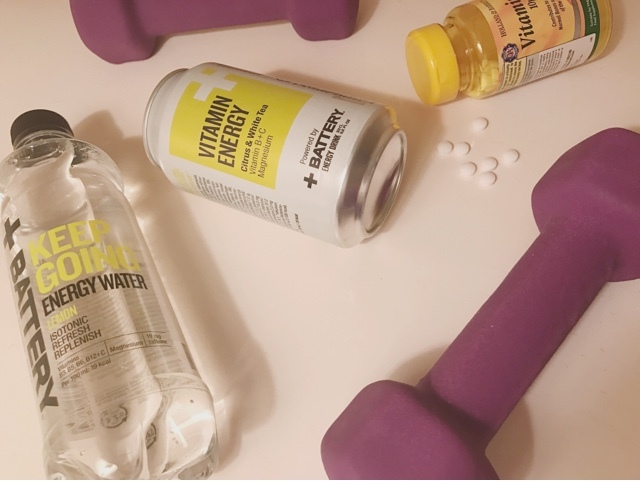 Packed with vitamins and containing little or no calories, these drinks are ideal to keep at my desk for an afternoon pick me up. Guessing this is sort of an obvious one but really I do anything I can to avoid getting sick! Antibac is always at hand, especially in winter. I religiously take vitamins and supplements to ensure I am topped up during he winter months. Something we can all lack during the seasons where we don't get much sunshine is vitamin d. Since taking a daily dose of it, I have felt I am able to concentrate at my desk at work far more without feeling the urge to reach for coffee. Most importantly enjoy the season! As a child I would play outside in the snow without a care in the world, whereas now I do everything I can to avoid being in the cold. Wrapping up, staying social with friends and having fun is equally as important during winter!